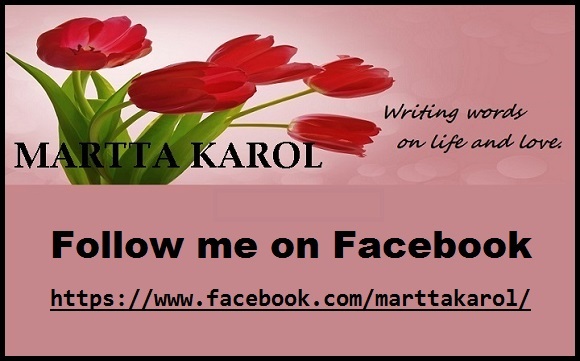 This entry was posted in My Writing and tagged blogging 101 by Martta Karol. Bookmark the permalink. Thanks for your comments, Audry. So glad to connect with you! Great to see you at it again. Nice blog site. Looking forward to the next one. Thanks, Gary. So glad to connect again. I love your explanation of writer’s block. Thank you, Mary. I suspect such unproductive periods are something we can all relate to. That’s life, isn’t it!